Promoting natural hair growth with simple regimens, tips and hair tutorials. Be you. Be True. DIY Beauty. Natural Lip Tints. Natural Face, Lip and Body Scrubs. Royally Rooted. Be you. Be True. Pumpkin seeds and eggs are just a few of the many natural power foods that promote hair growth and scalp health. Others include: Salmon, almonds, blackberries, raspberries and dark green leafy vegetables, such as kale and collards. Invest in a good quality juicer or blender to help incorporate these beneficial foods into your diet, for everyday or when your on the go. This entry was posted in: Royally Rooted. Be you. Be True. I like your blog, simple and straight to the point. 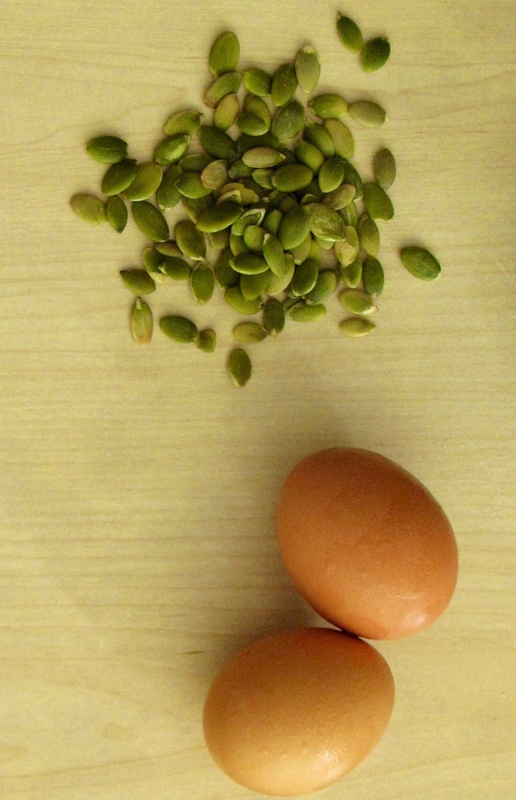 Egg is a good source of protein and thank you for sharing about pumpkin seed, didn’t know its also good for the hair. Thank you for sharing.